This looks amazing. I just ordered a spiral slicer so I’m really excited to use it. I love your addition of avocado in your pesto. I recently made a spaghetti squash with basil pesto that was delicious, but there’s always room for avocado! 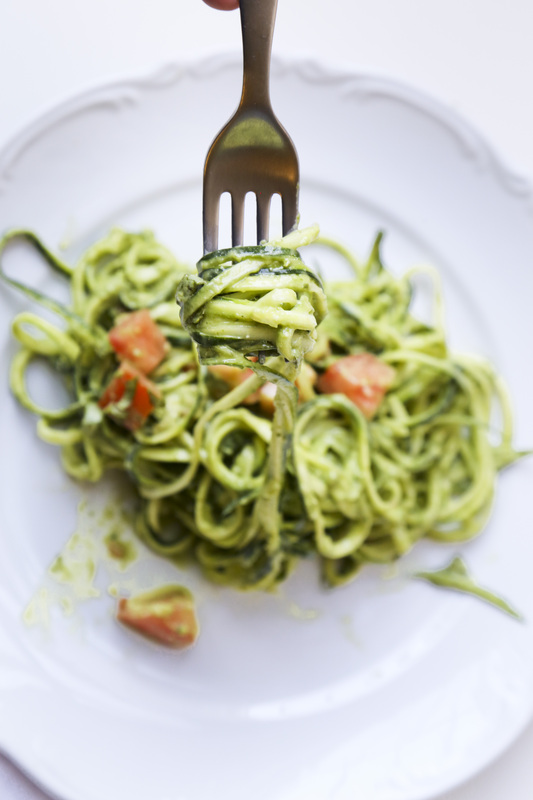 Zucchini Pasta is the BEST! 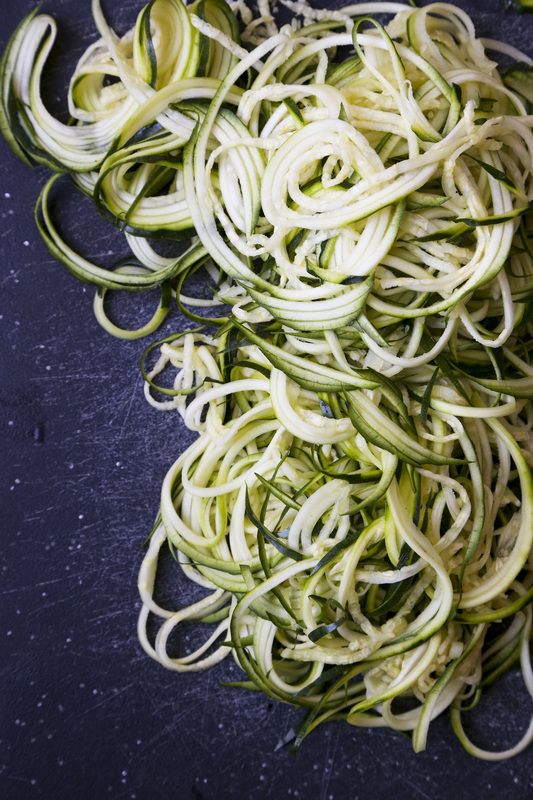 I don’t have a spiralizer, but do have something that creates a similar shape so I’ve made zucchini noodles in the past, they are great! I’ve seen a recipe for cucumber noodles with a peanut dressing that sounds SO good. 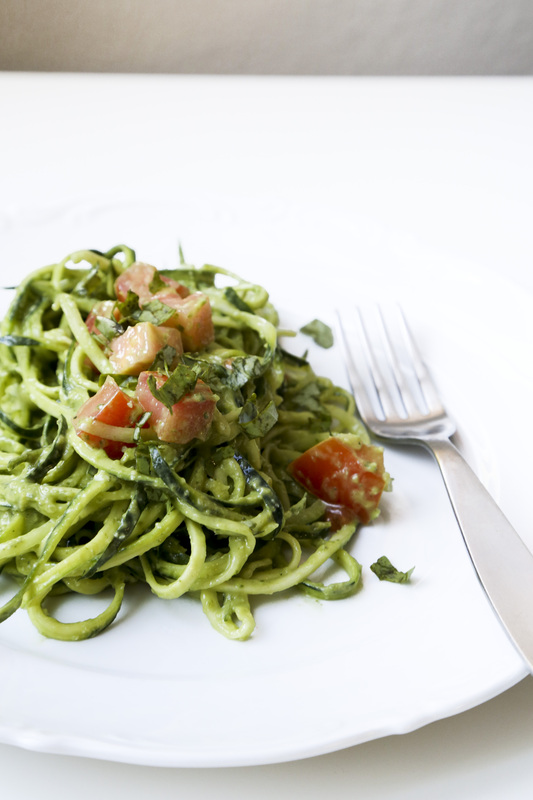 I love your addition of pepitas in the pesto! Of course I will have to spiralize sweet potatoes too. I want a spiralizer! This recipe sounds so easy and tasty! Perfect for these hot summer days approaching.. It totally is, because who wants to turn on the stove. And it would go great with a glass of white wine! 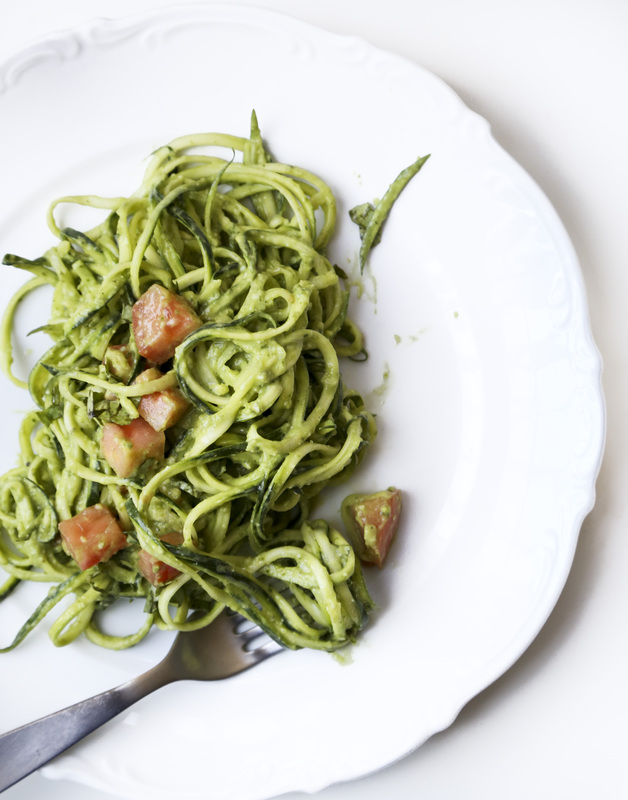 Can you freeze this pesto? That’s a great question! I haven’t tried. I imagine yes, but not sure how the avocado will hold up. Pepitas get mixed in whole or blended in with the avocado in the blender? Love the recipes! Hi Judy! The pepitas get blended in with the avocado in the blender. I’ll edit the recipe to make that a bit clearer. Thanks for commenting! Hope you like the recipe!